A constant hum of busy activity pervades the warrens and neighborhoods where gnomes form their close-knit communities. Louder sounds punctuate the hum: a crunch of grinding gears here, a minor explosion there, a yelp of surprise or triumph, and especially bursts of laughter. Gnomes take delight in life, enjoying every moment of invention, exploration, investigation, creation, and play. A gnome’s energy and enthusiasm for living shines through every inch of his or her tiny body. Gnomes average slightly over 3 feet tall and weigh 40 to 45 pounds. Their tan or brown faces are usually adorned with broad smiles (beneath their prodigious noses), and their bright eyes shine with excitement. Their fair hair has a tendency to stick out in every direction, as if expressing the gnome’s insatiable interest in everything around. A gnome’s personality is writ large in his or her appearance. A male gnome’s beard, in contrast to his wild hair, is kept carefully trimmed but often styled into curious forks or neat points. A gnome’s clothing, though usually made in modest earth tones, is elaborately decorated with embroidery, embossing, or gleaming jewels. As far as gnomes are concerned, being alive is a wonderful thing, and they squeeze every ounce of enjoyment out of their three to five centuries of life. Humans might wonder about getting bored over the course of such a long life, and elves take plenty of time to savor the beauties of the world in their long years, but gnomes seem to worry that even with all that time, they can’t get in enough of the things they want to do and see. Gnomes speak as if they can’t get the thoughts out of their heads fast enough. Even as they offer ideas and opinions on a range of subjects, they still manage to listen carefully to others, adding the appropriate exclamations of surprise and appreciation along the way. Gnomes make their homes in hilly, wooded lands. They live underground but get more fresh air than dwarves do, enjoying the natural, living world on the surface whenever they can. Their homes are well hidden by both clever construction and simple illusions. Welcome visitors are quickly ushered into the bright, warm burrows. Those who are not welcome are unlikely to find the burrows in the first place. Gnomes who settle in human lands are commonly gemcutters, engineers, sages, or tinkers. Some human families retain gnome tutors, ensuring that their pupils enjoy a mix of serious learning and delighted enjoyment. 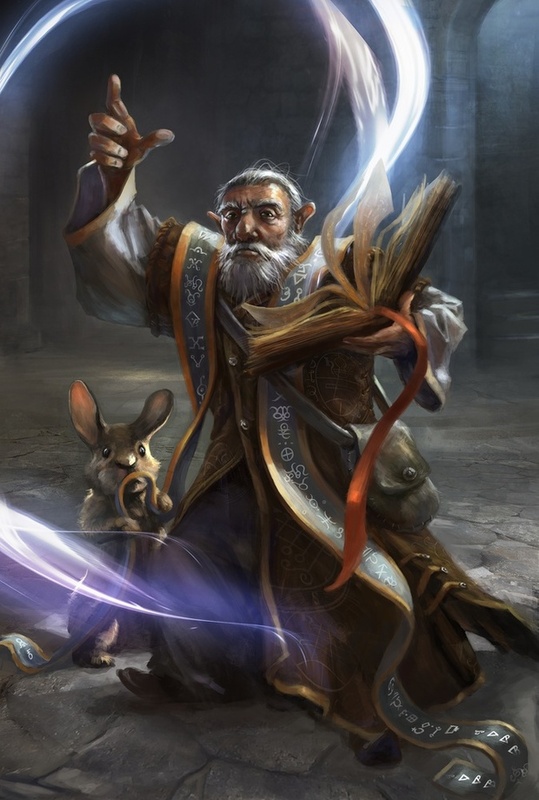 A gnome might tutor several generations of a single human family over the course of his or her long life. It’s rare for a gnome to be hostile or malicious unless he or she has suffered a grievous injury. Gnomes know that most races don’t share their sense of humor, but they enjoy anyone’s company just as they enjoy everything else they set out to do. Your Intelligence score increases by 2. Gnomes mature at the same rate humans do, and most are expected to settle down into an adult life by around age 40. They can live 350 to almost 500 years. Gnomes are most often good. Those who tend toward law are sages, engineers, researchers, scholars, investigators, or inventors. Those who tend toward chaos are minstrels, tricksters, wanderers, or fanciful jewelers. Gnomes are good-hearted, and even the tricksters among them are more playful than vicious. Gnomes are between 3 and 4 feet tall and average about 40 pounds. Your size is Small. You can speak, read, and write Dani and Gnomish. The Gnomish language, which uses the Dwarvish script, is renowned for its technical treatises and its catalogs of knowledge about the natural world. As a rock gnome, you have a natural inventiveness and hardiness beyond that of other gnomes. Most gnomes in the worlds of D&D are rock gnomes, including the tinker gnomes of the Dragonlance setting. You have proficiency with artisan’s tools (tinker’s tools). Using those tools, you can spend 1 hour and 10 gp worth of materials to construct a Tiny clockwork device (AC 5, 1 hp). The device ceases to function after 24 hours (unless you spend 1 hour repairing it to keep the device functioning), or when you use your action to dismantle it; at that time, you can reclaim the materials used to create it. You can have up to three such devices active at a time. Music Box. When opened, this music box plays a single song at a moderate volume. The box stops playing when it reaches the song’s end or when it is closed. As a forest gnome, you have a natural knack for illusion and inherent quickness and stealth. Forest gnomes are rare and secretive. They gather in hidden communities in sylvan forests, using illusions and trickery to conceal themselves from threats or to mask their escape should they be detected. Forest gnomes tend to be friendly with other good-spirited woodland folk, and they regard elves and good fey as their most important allies. These gnomes also befriend small forest animals and rely on them for information about threats that might prowl their lands. You know the minor illusion cantrip. Intelligence is your spellcasting modifier for it. Through sound and gestures, you may communicate simple ideas with Small or smaller beasts. Forest gnomes and rock gnomes are the gnomes most commonly encountered in the lands of the surface world. There is another subrace of gnomes rarely seen by any surface-dweller: deep gnomes, also known as svirfneblin. Guarded, and suspicious of outsiders, svirfneblin are cunning and taciturn, but can be just as kind-hearted, loyal, and compassionate as their surface cousins. Deep gnomes are short-lived for gnomes. They mature at the same rate humans do and are considered full-grown adults by 25. They live 200 to 250 years, although hard toil and the dangers of the Underdark often claim them before their time. Svirfneblin believe that survival depends on avoiding entanglements with other creatures and not making enemies, so they favor neutral alignments. They rarely wish others ill, and they are unlikely to take risks on behalf of others. A typical svirfneblin stands about 3 to 3½ feet tall and weighs 80 to 120 pounds. Your size is Small. Your darkvision has a radius of 120 feet. You have advantage on Dexterity (stealth) checks to hide in rocky terrain. You can speak, read, and write Common, Gnomish, and Undercommon. 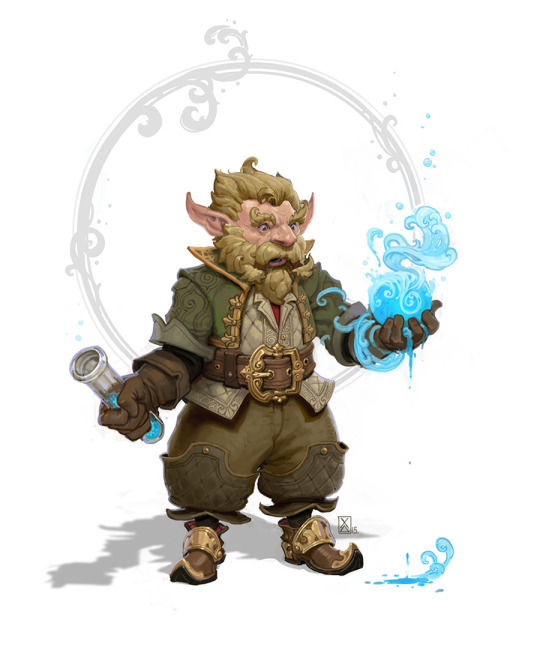 The svirfneblin dialect is more guttural than surface Gnomish, and most svirfneblin know only a little bit of Common, but those who deal with outsiders (and that includes you as an adventurer) pick up enough Common to get by in other lands. Gnomes love names, and most have half a dozen or so. As a gnome grows up, his mother gives him a name, his father gives him a name, his clan elder gives him a name, his aunts and uncles give him names, and he gains nicknames from just about anyone. Gnome names are typically variants on the names of ancestors or distant relatives, though some are purely new inventions. When dealing with humans and others who are rather “stuffy” about names, gnomes learn to act as if they have no more than three names: a personal name, a clan name, and a nickname. When deciding which of his several names to use among humans, a gnome generally chooses the one that’s the most fun to say. Gnome clan names are combinations of common Gnome words, and gnomes almost always translate them into Common when in human lands (or into Elven when in elven lands, and so on). Male Names: Boddynock, Dimble, Fonkin, Glim, Gerbo, Jebeddo, Namfoodle, Roondar, Seebo, and Zook. Female Names: Bimpnottin, Caramip, Duvamil, Ellywick, Ellyjobell, Loopmottin, Mardnab, Roywyn, Shamil, and Waywocket. Clan Names: Beren, Daergel, Folkor, Garrick, Nackle, Murnig, Ningel, Raulnor, Scheppen, and Turen. Gnomes can often be found anywhere humans or dwarves make their homes, but the primary homeland for the Gnomes is the forested island of Aelin-uial to the North-West of the main land of Tera’fir.